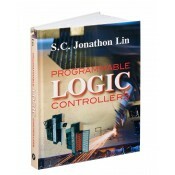 This book has been written a undergraduate Programmable Logic Controller (PLC) course. It effectively introduces the student to a broad range of knowledge and skills essential to using PLCs in implementing control schemes in a variety of industries. The text is comprehensive in that it covers control logic design, PLC hardware and software, PLC instructions, and PLC programming. This highly useful text includes valuable information for students, as well as practitioners, from important basics to advanced PLC programming instructions. It is designed for flexible use, so readers can easily choose their desired depth of coverage. The first five chapters focus on the electrical control fundamentals, number systems, logic basics, Boolean algebra, and simplifying logic circuits. Chapters 6 and 7 introduce two methods of designing PLC control logics and circuits that often are absent in other PLC texts. The next three chapters cover PLC memory, file structure, discrete input and output modules, and analog input and output modules. Exercises, study questions, and numerous illustrations throughout reinforce key concepts. 1 x AutoCAD Pocket Reference, Seventh Edition Sale! 1 x Industrial Manufacturing and Wellness Sale! 1 x Beginning AutoCAD 2015 Exercise Workbook Sale! Notify me of updates to Programmable Logic Controllers Sale!